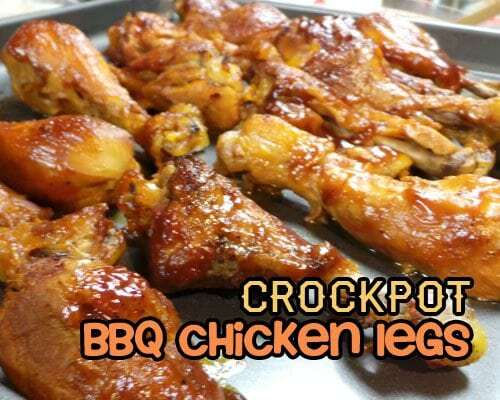 Slow Cooking All Year Round - Recipes That Crock! I am often asked what I would recommend as a good Slow Cooking cookbook. I have written before about my 3 favorite cookbooks, but today I thought I would share a bit more in depth about my very favorite cookbook, Gooseberry Patch’s Slow Cooking All Year ‘Round. Readers from our sister site, GOODEness Gracious, are very familiar with my love for Gooseberry Patch Cookbooks in general. I have adored their cookbooks for years and years. I love that they collect the best recipes from home cooks all over the country. 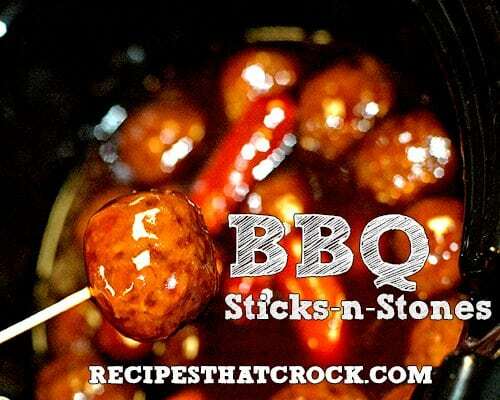 I often say they are like that really good church cookbook… ya know the one that has Aunt Sally’s tried and true meatloaf recipe alongside that fantastic breakfast casserole from sunrise service and the pastor’s wife’s prize winning blueberry pie recipe. Those are the kind of down home recipes you will find in a Gooseberry Patch Cookbook and I for one, can’t get enough of them! 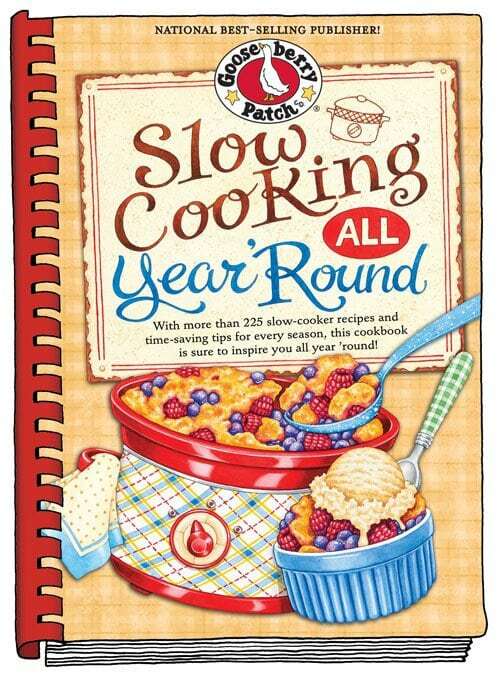 Truth be told, I have more of their collectable collections from across the nation than I can count, so it is saying a LOT that I now count Slow Cooking All Year ‘Round as not only my favorite slow cooker cookbook, but my favorite Gooseberry Patch Cookbook as well. I first got to really know this gem about a year ago during my Crock Pot Week. There were so many really, REALLY great recipes dripping from every page. 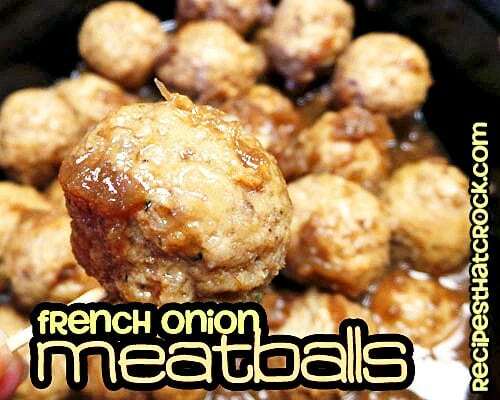 Recipes like these ah-mazing Crock Pot BBQ Chicken Legs and these crowd pleasing French Onion Meatballs that taste a little bit like White Castles. 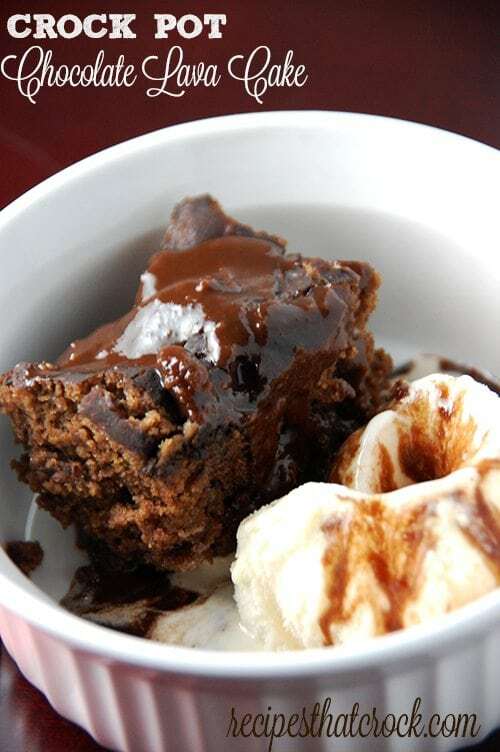 One of the many reasons I love Slow Cooking All Year ‘Round is that there is such a variety of recipes… like this Chocolate Lava Cake… oh yes. 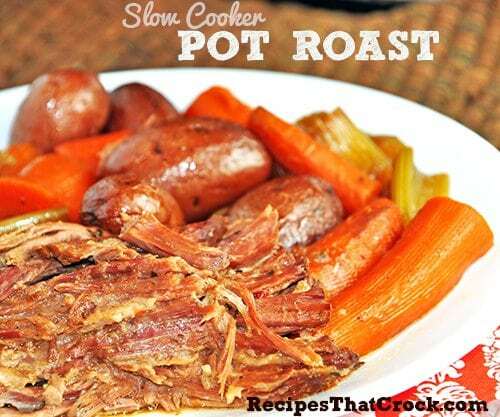 You will find slow cooker recipes for Fall, Winter , Spring AND Summer. 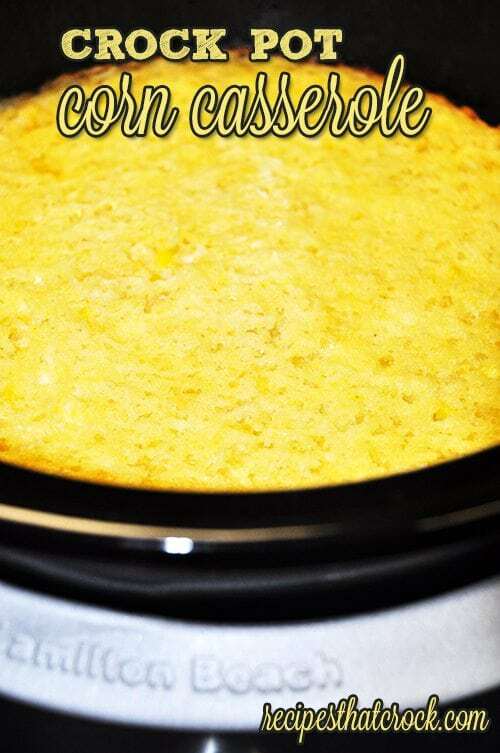 Including great holiday and potluck recipes like this Crock Pot Corn Casserole. There are party foods (like the Sticks and Stones below), hearty foods and foods for breakfast. You will find sweet and savory. 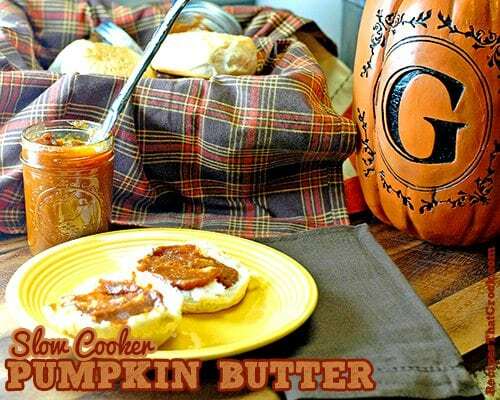 You will find homemade sauces (like the Pumpkin Butter below) and condiments, dips, beverages, desserts, soups and stews all along side main dishes made of beef, poultry and pork. If you are frustrated that the only slow cooker recipes you can find are filled with cans of cream soups, this is a great book to broaden your crock pot recipe repertoire. (And don’t worry, there are cream soup recipes in there too 😉 along with classic recipes you’d expect to find like the Slow Cooker Pot Roast above. Over the next couple weeks I will be sharing even more recipes from Slow Cooking All Year ‘Round AND in the meantime, my dear friends at Gooseberry Patch are giving one lucky Recipes that Crock Reader a copy of this fabulous book! To enter to win a copy of Slow Cooking All Year ‘Round, just leave a comment telling us your favorite Slow Cooker Meal. 4. 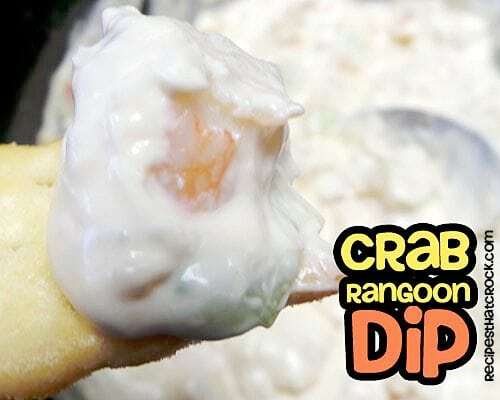 Pin any recipe from Recipes That Crock or GOODEness Gracious and earn a bonus entry for each pin! Contest ends Jan 13 at midnight. Winner will be selected randomly and must respond to email notification within 48 hours or a new winner will be selected. Prizes will only be shipped to continental U.S. addresses. My daughter and I would love the lava cake! Oh I cannot wait to try the lava cake! We love all things chocolate around here! Yummmmy! White chicken chili….that’s our new favorite chili!